One thing I love about this time of year is the winter light. It seems so crisp and brilliant even though it's bitter and chilly outside. 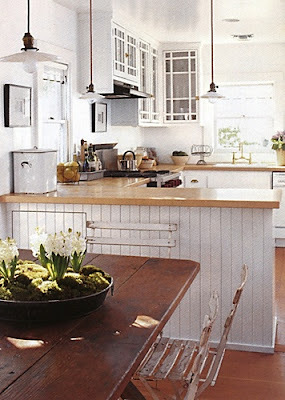 And winter light is especially lovely on bright, clean interiors. I don't know if these images were taken in winter or not, but they all seem to represent the light-washed feeling that adds so much life during the winter months. This room feels crisp yet cozy with the pops of red and the fun framed print. 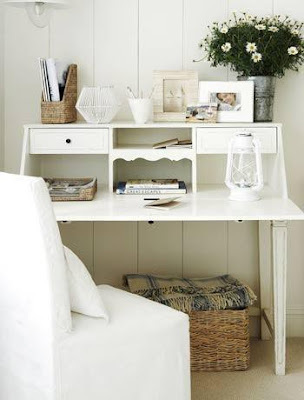 I absolutely love this desk...wouldn't you love to write Christmas thank you notes wrapped in a blanket at this little secretary? Winter hyacinths are the perfect finishing touch to this lovely farmhouse kitchen by Nancy Fishelson. 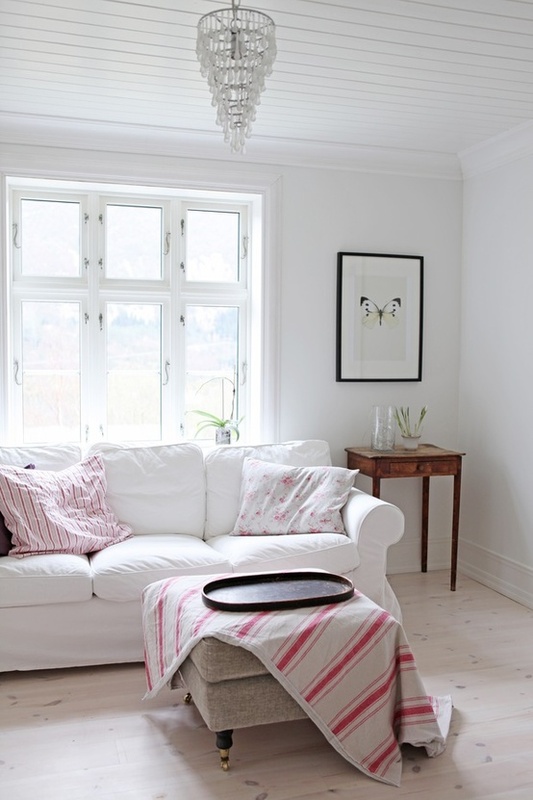 Sunny windows makes this neutral space to come to life. The light in this photo reminds me a lot of the light that comes in our own little apartment. 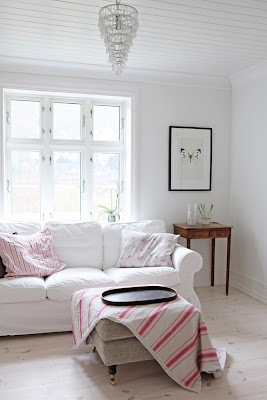 I love the mix of whites and textures. 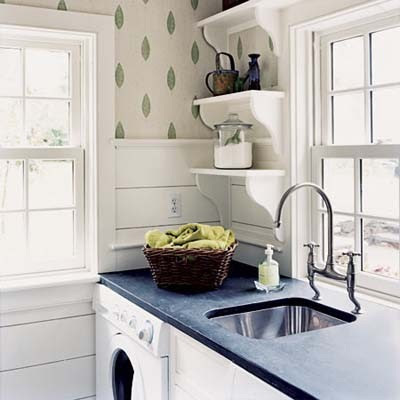 Wouldn't you love to do laundry in this space? Light everywhere would make sorting and folding so much more enjoyable! What do you love about winter? Or are you just longing for spring? 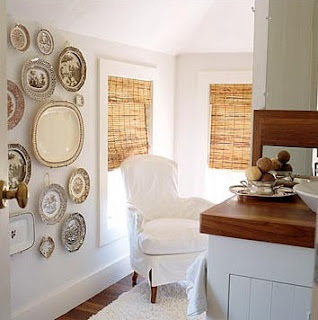 Beautiful inspiration!I am redoing my laundry room now.It's a bit awkward in shape so it is very challenging.Thank you for sharing these photos.